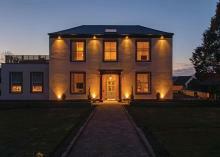 Cottage World offers you the maximum choice of holiday cottages, from both private cottage owners and agencies. From a converted sail loft on Dartmouth harbour, through to stylish new apartments in Cornwall, log cabins with hot tubs, to castles, lighthouses and yurts. Because there is so much choice, we then offer the best cottage search anywhere to narrow down your options. Finding a large cottage or big holiday house to rent for a family celebration, big birthday event, wedding, hen weekend or stag party, can be challenging. We have lots of large cottages, whole houses, lodges and barns to rent for that perfect short break or weekend away in the countryside or by the sea. If being under one roof is too stressful – we also have adjoining properties on the same site, many with swimming pools or hot tubs, or the option of dining together. For that extra luxury self-catering break renting a cottage with a hot tub is a real winner. Great for hen parties, relaxing 50th birthdays or family get togethers, we have lots of cottages, barns or houses that have hot tubs or jacuzzis. You can even stay in a caravan, chalet or lodge with a hot tub. Save on the cost of kennels and find a dog friendly cottage, lodge or holiday home. Taking your pet on holiday is great fun for all the family – gets the kids on long walks in the countryside and enhances the beach experience. We’ve got some cracking cottages, barns, chalets and holiday lodges, in stunning locations, that welcome pets. Self-catering holidays with a baby or young children are much easier and more relaxed than camping or staying in a hotel. Need a cot and a high chair? No problem. We have cottages and holiday homes that are child-friendly and fully equipped with all you need for a baby or young child, which means you don’t have to spend ages packing the car! 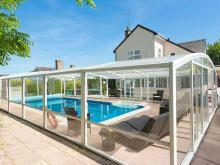 What better way to keep the kids entertained than have a cottage with a swimming pool on-site. Whether it is a private pool or shared use, indoor or out, we’ve some lovely self-catering places with pools.